These decorative chair bands, embellished with a plastic diamond encrusted buckle, will add a stylish touch your events, including weddings, banquets, conferences, celebrations, etc. 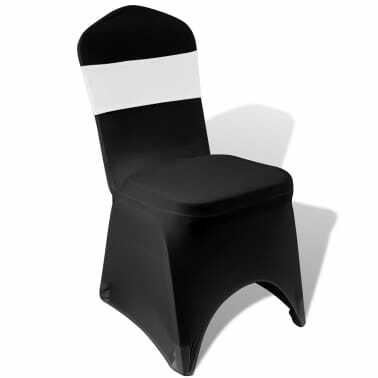 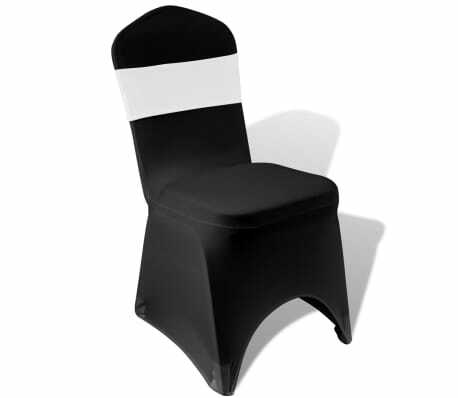 It fits almost all types of chairs with a maximum back width of up to 50 cm. 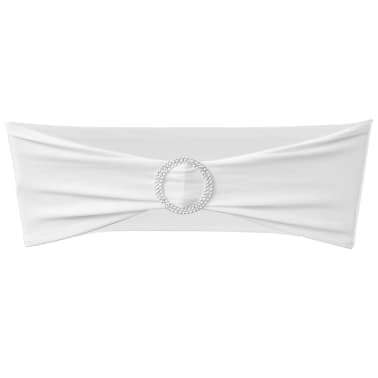 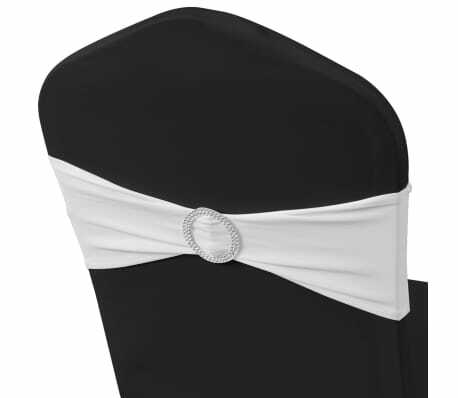 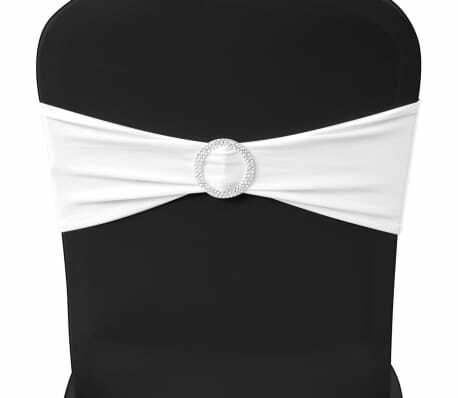 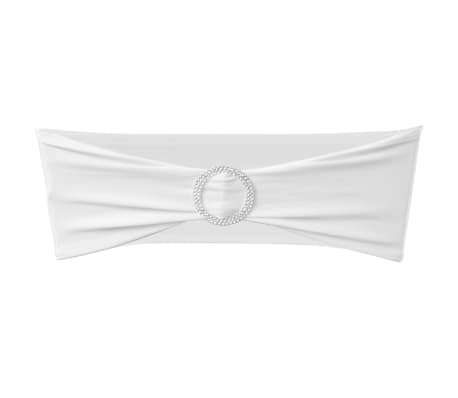 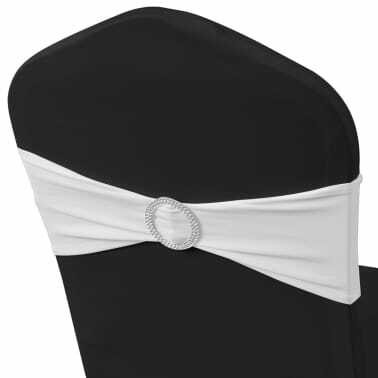 Made of elastic fabric, our bow band can be easily stretched over the chair cover. 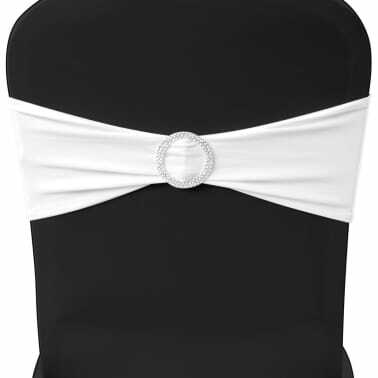 Treat yourself with this elegant decorative chair band, and turn your chairs into true pieces of art. 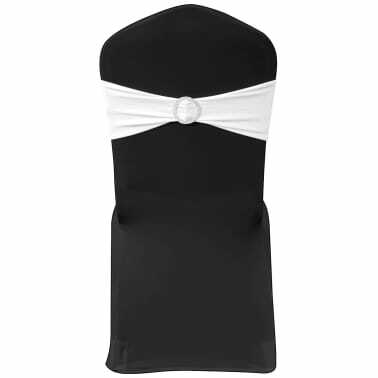 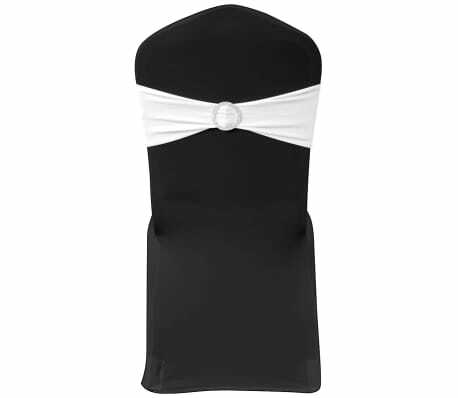 Delivery includes 25 pcs of chair cover bands.